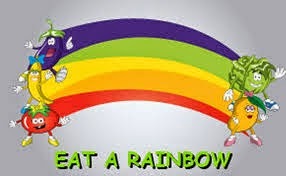 Eating a rainbow - Purple Please! Color your way to health. Research shows that colorful veggies & fruit contain essential vitamins, minerals, fiber and phytochemicals that your body needs to promote health. By eating fruits and vegetables of a variety of different colors, one can get the best all-around health benefits. The processed foods that we so commonly eat, can never compare to the health benefits provided by the fiber, vitamins and enzymes built right into fruits and vegetables. 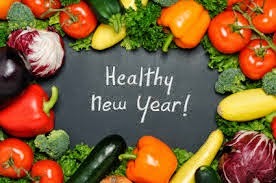 A 2010 report issued by the President’s Cancer Panel recommends eating produce without pesticides to reduce your risk of getting cancer and other diseases. And according to the Environmental Working Group (an organization of scientists, researchers and policymakers), certain types of organic produce can reduce the amount of toxins you consume on a daily basis by as much as 80 percent. The group put together two lists annually, “The Dirty Dozen” and “The Clean 15,” to help consumers know when they should buy organic and when it is unnecessary. These lists were compiled using data from the United States Department of Agriculture on the amount of pesticide residue found in non-organic fruits and vegetables after they had been washed. The most recent list was compiled for 2014.